Companies from south Wales have been recognised for helping school pupils across Wales prepare for their future careers. 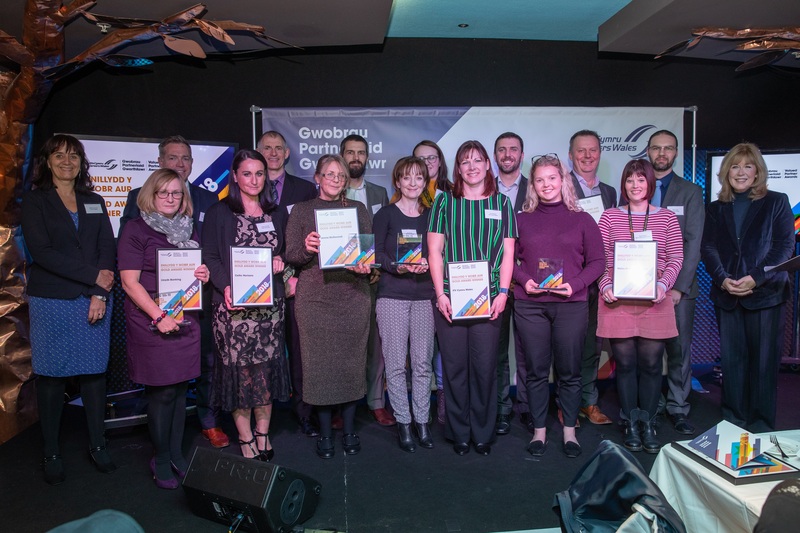 Held at the Wales Millennium Centre in Cardiff bay, 16 companies from across south Wales attended the Careers Wales Valued Partner Awards ceremony, which was hosted by former BBC news anchor Sara Edwards. The Careers Wales Valued Partner Awards recognises the important contribution made by businesses who consistently step up to support the workforce of tomorrow by signing up to Careers Wales facilitated initiatives such as the Careers Wales Education Business Exchange. Careers Wales’ Business Engagement programme gives employers the chance to work with schools and develop curriculum enhancing programmes for pupils, such as mock interviews and CV writing sessions in schools throughout Wales. From south Wales eight companies picked up gold awards, seven companies won silver and two companies took home a bronze award. Tai Calon Community Housing, took home a gold trophy following its work covering schools in Blaenau Gwent by providing interview preparation and mock interviews. Their work with Pen-Y-Cwm Special Educational Needs (SEN) School was also the first occasion a business had been requested to deliver training to an SEN school as part of the Education Business Exchange Programme. Phil Meek, employment & skills programme manager at Tai Calon Community Housing, said “Being a Valued Partner gives us the opportunity to go into schools and engage with pupils through delivering presentation skills lessons, offering work placements and helping with projects. “We work very closely with schools to make sure we can help in any way. For us, being able to make that extra bit of difference to a pupil is invaluable and something we can’t get in our everyday work. Since being launched in 2018, the Education Business Exchange, facilitated by Careers Wales Business Engagement Advisers now has 13,000 companies on board which helps hundreds of schools in Wales. “Celebrating businesses who have gone above and beyond to help spread our message and provide young people with a platform of opportunitiy and guidance is essential to our work. For more information on how to become part of Careers Wales’ Education Business Exchange programme, visit www.careerswales.com. A full list of all winners can also be found on the website.